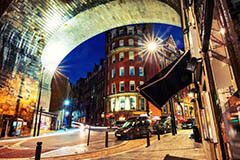 Book a wonderful few day city break to Newcastle to enjoy this vibrant city, its rich culture, architecture and history. Newcastle-upon-Tyne is one of the largest cities in the UK. With so many different areas offering new sights, sounds and experiences, you'll be amazed at how much you can find to do in Newcastle. Newcastle upon Tyne has gone through many stages in its history as a city. 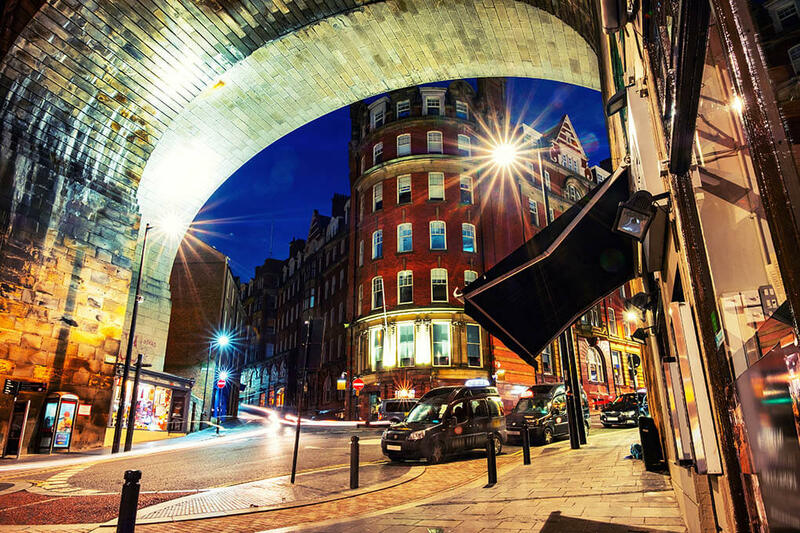 The region has thousands of years of heritage which are hinted at by the Castle Keep in the heart of Newcastle City Centre, one of the country's finest examples of a Northern Keep. Attractions such as the 2,000 year old Tynemouth Priory and Hadrian's Wall confirm the region's rich past and complement the offering of museums like the newly refurbished and extended Great North Museum. Coach holidays to Newcastle provide the opportunity to visit a wide range of attractions and places of interest. This is the most popular landmark in Alnwick. The castle is a fascinating place to visit, and with so much to do and learn it's a great day out for all ages. There is a variety of refreshment options, shopping, activities for kids, history, art and not forgetting the breathtaking sceneryThe Victoria Tunnel is a preserved 19th century waggonway. Discover how the tunnel was used in both WW2 and Victorian times, bring the history of the tunnel to life and find out which Newcastle landmarks you are walking beneath. Jesmond Dene is a lovely green walk close to the city centre and a beautiful place to enjoy with peaceful sound of water. If you cannot find a suitable coach holidays to Newcastle contact us and let our experienced travel agents help you find your perfect coach holiday to Newcastle or any other destination in England.